strengthening or regeneration of the body. 3-5 x 2 tablets daily. Veikliosios sudedamosios maisto papildas Culevit yra amino rūgščių ir vitaminų, kurie dalyvauja normaliai funkcionuoti organizmui.Tabletė Culevit gali būti taikomas gerų rezultatų už roborating arba atgaivinant kūną ligos atveju ar būsenos atkūrimo. 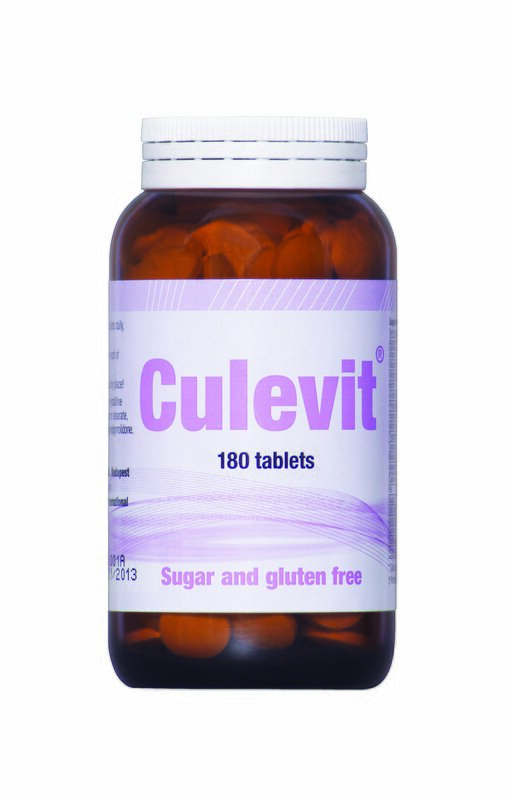 The active ingredients of the dietary supplement Culevit are amino acids and vitamins, which participate in the normal functioning of the body. The tablet Culevit can be applied with good results for roborating, or for regenerating the body in case of illness or state of recovery. The active agents of the formula are amino acids of different chemical structure, (methionine, phenylalanine, tryptophan, arginine, histidine, tyrosine); vitamins (vitamin C, B2, B6, biotin) and intracellular intermediates (malic acid) and nucleic bases (adenine) which effectively support the important physiological processes of our body. 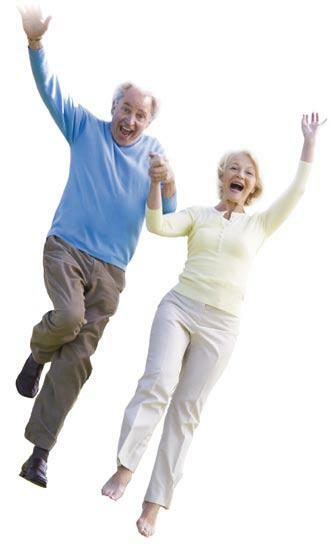 They also insure the normal functioning of the immune system and metabolism. Based on scientific leterature data, and practical experiences, the tablet Culevit can be applied efficiently following operations and injuries in the recovery period, in the course of the body's regeneration processes. 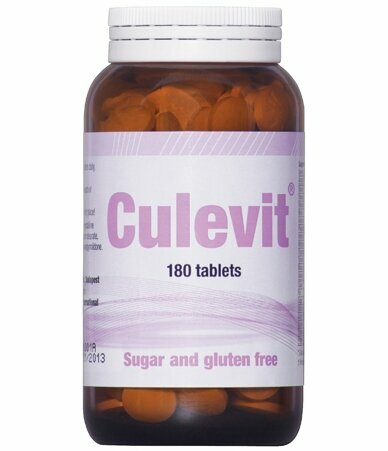 The active agents of the tablet Culevit are also contained in our everyday diet (however in different proportions). Healthy people can also take it preventively and it can be an effective dietary supplement for those following a body mass reducing or other rigid diet.